In today’s fast paced world, companies tend to out grow their current office space , home or home office. Tel-Systems offers a relocation service where we will de-install the phone system in the current space and move it to the new location. It’s that easy ! You have other important things to think about. We offer telephone/network cabling services, relocation of all phone handsets & setting them up for your interoffice network. Tel-Systems is proud of its work & its technicians, we will continue to service your office needs even after your relocation. 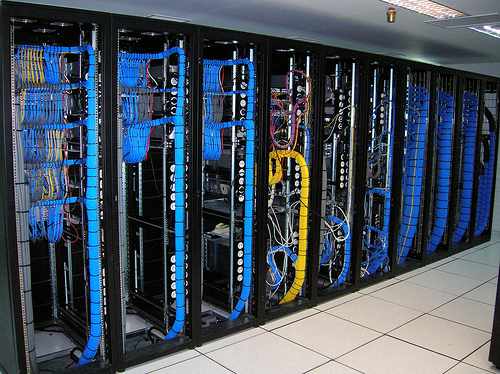 Tel-Systems has been providing reliable and efficient structured cabling solutions and services across the GTA. One of our main IT specialities is to take care of the planning, design and installation of Structured Data Cabling for your business. We have special expertise in Structured Cabling, Network Cabling, CAT5, Data drop, voice drops, and cabling networks to name a few. Tel-Systems is in the business of offering IT Infrastructure solutions to Global and Enterprise customers across Ontario. Network Cabling & Integration, Tel-Systems is well placed to design, install and commission network cabling systems from typical office set-up to thousand plus node network in a multi-buildings campus environment. All our work including Network Design, and Services is carried out with the industry best practices and standards. Our certified professionals have built many computer network cabling projects, ranging from from small (small office) installations, to much larger projects that extend over several floors and incorporate hundreds of data points.Our teams ensure strictest adherence to site safety and policies.